It's online, so you can watch it wherever you are. There's no time limit on this, so it's there for you whenever you need it, as often as you need it. To help you get the most from this session, you'll get a PDF workbook to download and work through, as you watch it. You can also use this and the videos you'll get after the live training to support you, as you teach these techniques to your child. Get invitation-only membership of Clare Josa's Beat Exam Stress Facebook group. 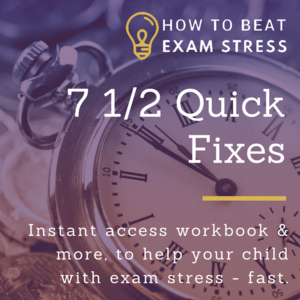 You can get answers to your questions and share with other parents, teachers and tutors what is working for your child as you help them with exam stress, so they can do their best in their exams. Don't Know Clare Josa Yet? 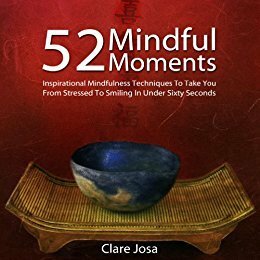 Clare Josa is a formally trained meditation and mindfulness teacher and has been teaching since 2008. 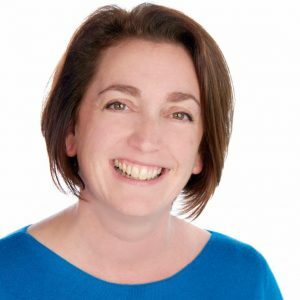 She is the author of two books on the subject - 52 Mindful Moments and the 28 Day Meditation Challenge. 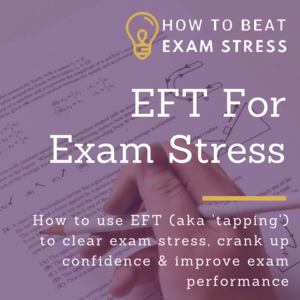 She is also a certified EFT Master Practitioner and, combining this with her expertise as an NLP Trainer, she makes it super-easy for you to learn how to help your child to 'tap away' exam stress and nerves. 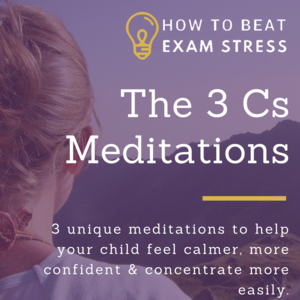 With these and her online courses on meditation and mindfulness, she has taught thousands of students how to calm their Monkey Mind, think more clearly, feel less stressed and smile for no reason. In this unique live, online training, she will be sharing with you the gems from her past decade in the field, so that you can help you child to benefit from simple, yet highly effective, techniques to reduce their exam stress, increase their confidence and be able to do their best in their exams. 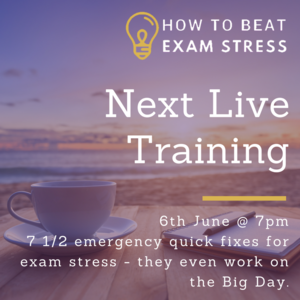 Join Clare for this live workshop (online) 7 1/2 Emergency Quick Fixes For Exam Stress.